Best VOB player to play and convert VOB to MP4, MOV, MKV, WAV, MP3, etc. Edit VOB files with built-in tools such as cropping, trimming, watermark, effects, and others. Download video files from YouTube and other websites by pasting URLs. Versatile toolbox combines Screen Recorder, GIF maker, Fix Media Metadata, DVD Copy, etc. Standing for Video Object, VOB is a file format that is used for storing DVD videos. The files in VOB may be encrypted. This container format has the majority of the disc data including audio, video, DVD menu, navigation contents and subtitles. VOB file with .vob extension can be located in the VIDEO_TS folder at the DVD root. These files are formatted as MPEG-2 system streams which can't be well-supported by the built-in media players on Windows and Mac such as Windows Media Player and QuickTime. If you want to play DVD files smoothly on non-compatible VOB players or smartphones, you would need to convert VOB files to different formats. The article below will discuss VOB file players and solutions on how to play VOB files to solve this incompatibility issues, you can perhaps take a look into top 6 VOB file players for help. There are a number of VOB video players that allows playing DVD VOB files. 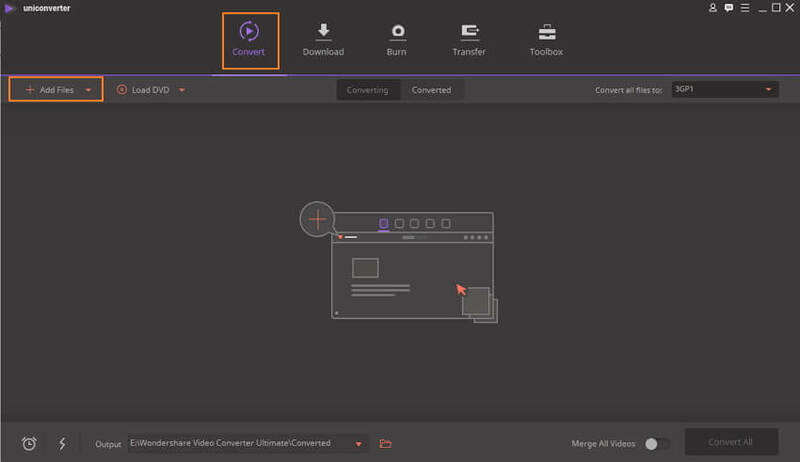 But if you are in search of the best player that delivers excellent quality video without any hassles, Wondershare UniConverter (originally Wondershare Video Converter Ultimate) is the best option. This professional video toolbox supports more than 1000 formats so that no matter whatever files type you have, you can easily play it using the program. 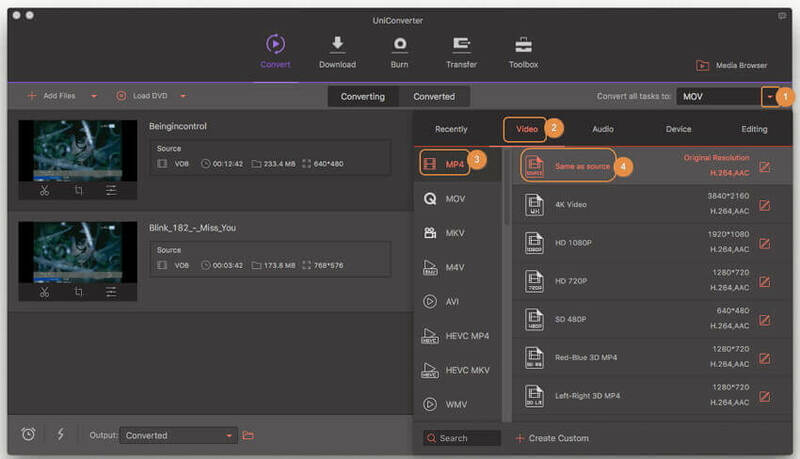 Additionally, UniConverter works as an excellent video conversion tool to convert VOB file to other formats when needed. The software ensures super fast conversion without any quality loss. It also supports device-specific format conversion for smooth playback. Additional features include batch processing, in-program editing tools, burning DVD and Blu-ray, video downloading and others. You can play VOB files in 2 ways - play VOB files directly or convert VOB files to other compatible formats. Convert VOB to MP4, MOV, AVI, WMV, FLV, MKV and other 1000 formats. Play VOB files and other videos in any format with in-built video player. Convert VOB files to optimized preset for almost all of the devices, like iPhone, iPad, Huawei phone, etc. Transfer videos from computer to iPhone, iPad and other devices directly and vice versa. 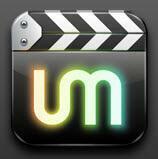 Versatile toolbox: Add video metadata, GIF maker, cast video to TV, video compressor, screen recorder. Supported OS: Windows 10/8/7/XP/Vista, Mac OS X 10.14 (Mojave), 10.13, 10.12, 10.11, 10.10, 10.9, 10.8, 10.7, 10.6. Step 1 Open Wondershare VOB player and add VOB file. First of all, download and install Wondershare UniConverter (originally Wondershare Video Converter Ultimate) on your PC. Open the software and add VOB file. You can drag and drop the file or hit +Add Files from the Convert tab to browse and import VOB file. Step 2 Play VOB file directly. Once VOB video file is added to the program interface, hover your mouse over the video thumbnail to view Play button. Click the Play button that will start playing the added VOB file. Step 2 Select the output format supported by regular video players. Next, you need to select the output format that is compatible with playing with your desired player. Click the drop-down menu beside Convert all files to: option. Select the desired format like MP4 and its resolution from the Video category. You can also select a device-specific format from the Device category if you want to play VOB file on the mobile device. Step 3 Convert DVD VOB file to the output format. Select the folder on PC where you want to save the converted file at the Output tab, then click Convert All to start the conversion process. With simple and quick steps, Wondershare UniConverter proves to be an excellent VOB player for Windows 10/8/7 and lower system. If you are looking for an easy way that how to play VOB files on Mac, you can end your question by Wondershare UniConverter, which supports Mac OS X 10.12/10.11/10.10 and lower version, so that you don't need to search for another software on the internet anymore. With Wondershare UniConverter, you can play VOB files directly or convert to MP4 or other video formats supported by Mac. Besides, it can also reach multiple functions on Mac such as video download, DVD burning, file transfer, and more others. Follow the steps listed to open VOB files on Mac. Step 1 Open Wondershare VOB player and add VOB files on Mac. At the beginning, you should download and install Wondershare UniConverter on your Macbook, the open the software to add files. Click the Convert tab and hit the +Add Files button to browse and import VOB files. You can also drag and drop your VOB files present on your Mac to the program directly. Step 2 Play and convert VOB file on Mac. You can view all added VOB files displayed as thumbnails on the interface, click the Play icon on the thumbnail and you can play the VOB files directly as a preview mode. However, if you want to convert your VOB files to MP4 or other Mac supported formats, you need to make a conversion. Select the output format on the right-top corner, then click the drop-down menu beside Convert all files to: option. Select the desired format like MP4 and its resolution from the Video category. You can also select a device-specific format from the Device category if you want to play VOB file on your iPhone or iPad. Step 3 Convert VOB files to another format on Mac. After everything is okay, click the Convert All button to start converting VOB files to MP4 on Mac. 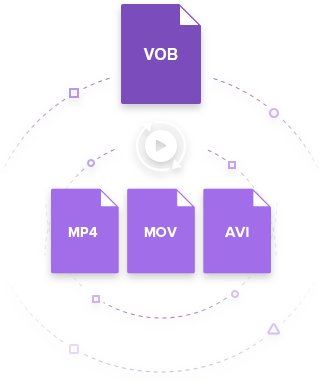 The conversion process would take a few minutes up to your video length, and then you can watch your VOB files as MP4 or other formats on Mac easily. Another way to play your VOB file format is by using a VLC Media player. 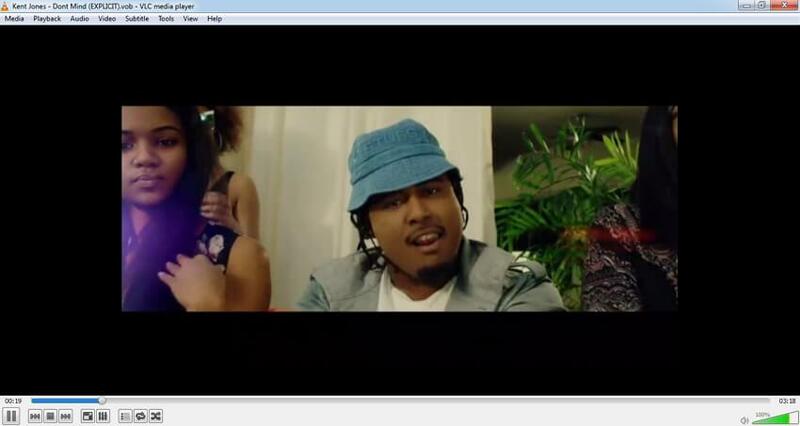 Developed by VideoLAN project, VLC is a cross-platform player that is portable, open source and free to use. A number of audio and video compression formats including DVD-Video, streaming protocols, and video CD are supported by the player. So if you are looking for a simple solution on how to play VOB files, the VLC media player is there for you. In addition to all popular operating systems, the player is also available for mobile and digital distribution platforms including Windows Phone, Android, iOS, Google Play, Windows Store and others. Note: If you have directly ripped video from a DVD, the folder containing VOB file will be labeled as VIDEO_TS. VCL acts as a DVD VOB player and will play the video as if a DVD is inserted. You will have access to chapters, DVD menu, and other features. 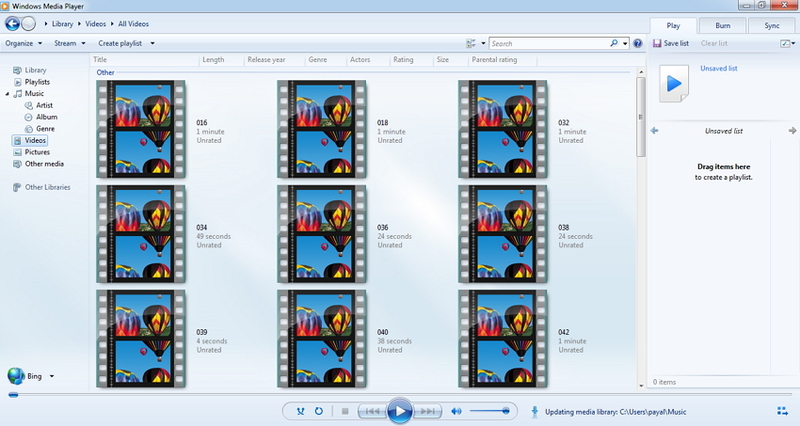 If you are looking for a way to play VOB files on Windows, Windows Media Player is the answer. Developed by Microsoft, WMP (Windows Media Player) is an application that allows playing, storing as well as organizing video, audio, and images on Windows OS, pocket PC as well as mobile devices. In addition to working as a media player, WMP also allows to rip music to discs, synchronize content with the digital player, and also rent and purchase music from various online stores. The latest and updated version of the player allows opening and playing VOB files. In case if you are not able to open VOB files on your VOB Windows Media Player, you would need to download the codec for the file. Generally, the player automatically downloads the codec needed to play a file. The default Android player does not support playing the VOB video format and here a need to download a third-party application arises. There are a number of programs that work as VOB players for android and VLC for Android is one of the most popularly used. Once downloaded on your Android devices, it works as a wonderful VOB media player that allows playing your desired files anywhere, anytime. In addition to playing video and audio files, the app also allows networking streams and DVD ISOs. A number of formats with all needed codecs are supported by the player including MKV, AAC, FLAC, OGG, and others. The media library of the app allows browsing the folders directly and it also supports subtitles and multi-track audio. The app can be downloaded from https://play.google.com/store/apps/details?id=org.videolan.vlc to enjoy smooth playing of your VOB and other file types on your Android devices. The MPlayer is another good choice of as the alternative VOB player. It’s not as popular as the VLC media player, but it's also downloadable to both Windows and Mac PCs and has a wide range of video format support. It's capable of playing back the MPEG/VOB, ASF/WMA/WMV, VIVO, QT/MOV/MP4, AVI, OGG/OGM formats and so on. 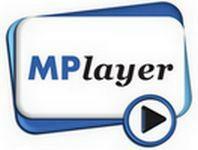 Download MPlayer VOB player from the MPlayer site. The UMPlayer is compatible across-platforms (can be downloaded onto your Windows, Mac OS X and Linux operating systems) and it's very simple to navigate. However, it's packed with built-in feature ranging from the broader list of supported file formats to codecs compatibility as well as the capability to stream or playback incomplete files. If you failed to download your favorite files, you have the recorder function as your backup! You can easily get familiar with the KMPlayer with the user-friendly and simplistic interface. However, you can still personalize the interface with the interchangeable skins and visualizations as well as taking advantage of the built-in video and audio codec. You can also improve the quality of your video playback by changing the properties, further sharpening, filter applications and much more. Guess what? 3D formats are also supported in it's latest what's new too! So whenever you get stuck in a situation on how to open VOB files, opt for players to play VOB files Windows or Mac. The other most feasible and convenient solution is to install Wondershare UniConverter (originally Wondershare Video Converter Ultimate) that not only allows playing VOB video file but also takes care of your queries on how to convert VOB files. Are you ready to download Wondershare VOB Player now?